72 young shooters have spent every waking moment since the past week at Camp Perry’s CMP Smallbore Rifle Range. “We have kids here from 17 different states, from California to New Jersey and from Washington state to Florida,” Administrative Officer Vickie Evans told the NRA blog. To participate in the program, shooters must be older than 12 and younger than 20. The “campers,” as Vickie calls them, are in rotating groups of four. One coach is matched to each group based on a variety of factors, including skill level and age. “We’ve got some folks learning the basics, while others are ready to compete for next year’s National Championship,” volunteer rifle coach Bob Beard explained. Russell was quick to point out the help the camp receives from the NRA, the Civilian Marksmanship Program (CMP), and the Ohio National Guard. “We wouldn’t be able to do this without them,” he said. Guardsmen also serve as medics for the camp. “This is truly one of the most prestigious programs at Camp Perry,” declared NRA Match Director H.Q. Moody, who added: “These kids are our future”. Many of the “campers” attend the NRA camp more than one season. According to Russell Evans: “One third of our shooters will come back for a second or third year of camp, until they’re confident to compete on the big line”. Does Evans think any of these young people have a shot at bringing home the national championship? “All 72 of ‘em”, Russell replied. Share the post "Teens Train at the NRA’s Camp Perry Smallbore Camp"
Valdada 36X Scope, First Report: Benchrest shooter and noted gun writer James Mock recently tested Valdada’s new 36X Benchrest scope on his PPC. Valdada scopes are made by IOR (Industry Optic Romania) in Bucharest, Romania. James was impressed with the scope — and it certainly didn’t hurt his performance any. With the Valdada on top of his PPC, James nailed a 0.150″ three-shot group at 200 yards during testing earlier this week. Below you’ll find Mock’s first impressions of the Valdada 36X, along with photos of the scope mounted on his rifle. James — Thanks for sharing this! Yesterday, I received one of Valdada’s new 36X BR scopes for testing. My initial tests proved that Valdada may have a winner. The scope has 7-layer coating on their German glass optics for a superb image. The 1/8th-minute clicks are positive and they repeat well. The reticle is a 1/8th MOA floating dot with 1 MOA hash marks for both windage and elevation. The scope has a very smooth worm gear parallax side adjustment that is marked in meters. Overall I am impressed with the initial testing. The suggested retail is around $1295.00, but I don’t know what the “street price” will be. Here are a couple pictures that show the scope mounted on My BAT-actioned rifle, currently fitted with a PPC barrel. Share the post "Optics: James Mock Tests New IOR Valdada 36X Benchrest Scope"
Shooting an impressive 4790-355X, SSG Shane Barnhart earned the title of National Smallbore Rifle Prone Champion, while competing this week at Camp Perry, Ohio. Finishing second and third, respectively, were 1LT Christopher Abalo, and Charles Kemp. Abalo and Kemp had identical 4786 scores, but 1LT Abalo had the higher X count. Abalo scored 344X compared to Kemp’s 338X. SSG Shane Barnhart has been to Camp Perry since 1992, minus two years. This year is his best smallbore rifle performance. Did he come expecting to win? “I was hoping (to place in top 3),” he said. “I knew going into Any Sight that I had Abalo and Kemp, both very fine shooters, to keep up with.” What was the biggest challenge of the week? “Battling the wind,” Shane said. When asked if he had any advice for young people thinking about shooting competitively, Barnhart responded: “You can get a free ride to college,” he said. First Lieutenant Christopher Abalo practiced for the national smallbore prone championships for just one month, yet still managed a strong second-place finish. “I took a two-year break from competitive shooting, so this feels good,” he said. “I feels great, actually. I expected to shoot well, and I would say I met my expectations.” Below are photos from the 2010 Smallbore Prone Championships. In related news, retired Gunnery Sergeant Brian Zins of Poland, Ohio, was named national champion at the NRA National Pistol Championships held July 13-17 at Camp Perry. This was Zins’ 10th National Championship. Zins shot consistently high scores throughout the event, winning the .22 Caliber Championship and placing in the top three for both the Center Fire and .45 Caliber Championships. Zins’ Aggregate score of 2650-134X placed Brian at the top of the leader board for the tenth time in his shooting career — a record number of National Pistol Championships. CLICK HERE to learn more about Zins and other pistol competitors. Share the post "SSG Shane Barnhart Wins Nat’l Smallbore Prone Championship"
Charles Ballard, two-time U.S. F-class Open Champion, has been working with Precision Rifle & Tool on a new F-TR (Target Rifle) stock. Charles designed the stock to combine the adjustability of the better F-Open designs with a nice rigid fore-end for bipod use. Charles has shot the new stock in competition and he says it tracks really well. When fitted with a wide-base bipod, the stock is super-stable, with minimal hop on recoil. The new stock is officially called the “Ballard LowBoy F-Class Target Rifle (F-TR) Stock”. This new design is available immediately, in a variety of laminated colors, starting at $325.00 (without hardware). The stock can be inletted for Rem 700 actions, Rem 700 clones, the Savage Target Action, and most custom actions. Extended front to provide proper balance with long barrels. Low profile design for a lower, more stable center of gravity. Buttstock has a 1/2″ machined flat on the bottom and angled sides to provide superior tracking in the rear bag. Buttstock has a slight angle to allow minor elevation adjustments. Optional adjustable buttplate and optional adjustable cheekpiece. Precision Rifle & Tool can deliver the Ballard LowBoy F-TR in any state of completion the customer desires. The basic stock costs $325, inletted for your action, but unfinished and without hardware. Complete with removable/adjustable cheekpiece, and adjustable buttplate, the stock costs $900.00 ready to be bedded and finished. Clear-coating or oil finish is available at extra cost. In the video, Charles Ballard gives you a “walk-around” of the stock and explains the stock’s design features. The high-tech, carbon fiber bipod is made by Center Shot Engineering in Oregon. For more info, or to order a Ballard LowBoy F-TR stock, visit PrecisionRifleSales.com, or call (336) 516-5132. Charles Ballard himself can talk you through the options. Share the post "New Ballard-Designed F-TR Stock from Precision Rifle & Tool"
Kelly Bachand, the youngest competitor on the Top Shot TV series, is a regular contributor to AccurateShooter.com. Currently an electrical engineering major at the Univ. of Washington, Kelly is a talented Palma rifle shooter who has managed to hold his own in other shooting disciplines. Kelly is the real deal — a genuine marksman, and we know many readers have been pulling for him through the grueling Top Shot elimination process. There’s a fascinating full-page interview with Kelly in the Cheaper Than Dirt Blog. The first half of the interview covers Kelly’s background and marksmanship training. In the second half, Kelly discusses his Top Shot experience, revealing secrets about the show and the inter-personal rivalries which have become such a staple of the series. Kelly also explains how he managed to survive three elimination rounds. Q: During the first elimination challenge you shot rifles and sent Mike Seeklander home. That was a pretty stunning defeat and seemed to surprise everybody. It does seem like your mental attitude has really helped you through all of the elimination challenges you’ve been through. Kelly: I do have a certain mental ability that I’ve kind of picked up and practiced and begun to get better at over the last year, year and a half, to kind of shut other things out while I’m actually shooting. I’ll be extremely nervous up until the point I’m actually shooting, extremely nervous. At the Beretta Xtrema [shotgun] challenge I got up to the line, and I’m way outside of my comfort zone holding this Beretta. I’ve fired it all of about 20 times now, and I got up there, I focused on what I need to do, and I make the shot. It all kind of goes away. What I do is I just repeat a mantra in my head. I just ask myself, “OK, what do I need to do to make this a perfect shot?”. Then I tell myself over and over what I need to do. If I continually force feed myself good thoughts — positive thoughts about what I need to do to make it perfect — I typically make very good shots. That’s right out of Lanny R. Bassham’s book With Winning in Mind. Whether you love the Top Shot show (for the shooting) or hate it (for the Hollywood reality-show nonsense), we recommend reading Kelly Bachand’s interview. Kelly has managed to adapt and learn quickly and that’s why he’s still “in the running” while other, more experienced competitors have been eliminated. Kelly offers many insights that can help any competitive shooter. Share the post "Top Shot TV Competitor Kelly Bachand Speaks Out"
Kindle has a HUGE run-time advantage. An iPad can run about 10 hours before it needs recharging. Kindle can run for a MONTH between charges. Books and newspaper articles are easier to read on the Kindle’s low-glare, black-on-white “virtual paper” screen. The Kindle does NOT require an expensive data plan or web access contract. The Kindle has no connection fees, although you do pay a charge to download most recent book titles. The Kindle is lighter and more rugged than an iPad. The new Kindle weighs just 8.7 ounces — less than a paperback book. The Kindle has physical keys, and it is easier to flip pages on the Kindle without moving your supporting hands. Two new Kindles, priced at $139.00 and $189.00 respectively, go on sale today, with delivery starting August 27, 2010. These new units are 15% lighter and 21% smaller than the current basic model, yet the screens offer higher resolution with easier-to-read text. The $139.00 Kindle is WiFi only, while the same-sized $189.00 version offers both WiFi and 3G cellular connectivity. Both the new compact Kindles offer a 6″ viewing screen. That is significantly smaller than the iPad screen, but the iPad starts at about $500, and you could easily pay $700 with memory upgrades. If you prefer a bigger screen, Amazon also offers a large-screen model, the Kindle DX, which costs $379.00. Editor’s Note: Some readers may wonder what eReaders have to do with shooting. Well, there are thousands of outdoor, hunting, and shooting-related titles offered for Kindles. You can download an eBook for a fraction of the cost of buying the physical version. And the Kindle can hold up to 3,500 titles in a compact device that weighs less than a single paperback book. Share the post "Amazon Introduces $139.00 Kindle eBook Reader Today"
Powder Valley Inc. now offers Russian TulAmmo primers. TulAmmo primers (for rifle, pistol, and shotgun) are the exact same primers as Wolf. Both TulAmmo and Wolf primers are produced in the same Murom Apparatus Producing Plant in Russia and they have the same product codes. However, TulAmmo wholesales its primers at lower cost than Wolf-branded primers. Powder Valley is passing this great savings on to the customer. You will find that in many cases TulAmmo primers cost 15-20% less than the identical Wolf primers. TulAmmo offers Non-corrosive Boxer primers, Lead-free non-corrosive Boxer primers, and Non-corrosive Berdan primers in all popular sizes including small rifle, small rifle military, small rifle magnum, large rifle, large rifle military, and large rifle magnum. There is even a special .50 BMG primer. Product codes are listed in the chart below. For more info, visit the TulAmmo USA website. When new product shipments arrive, Powder Valley (PV) provides timely updates on PV’s Facebook Page. Be the first on your block to learn about powders, primers, and bullets as soon as they arrive. Powder Valley has been posting updates every couple of days, so check the PV Facebook page often to stay “in the know”. You can also call Powder Valley at (800) 227-4299 for updates or to order. Share the post "Powder Valley Offers Russian TulAmmo Primers (Wolf Clones)"
The NRA Metric Smallbore Championships were held in Bristol, Indiana from July 17-20th. Team Lapua shooters performed well in this prestigious match. Team Lapua member Kevin Nevius shot superbly, earning the title of 2010 Metric National Champion. Nevius also won the Metallic Sight Aggregate Trophy, the Metallic Sight Team Trophy with Eitan Barazani, and the Overall Metric National team title with Barazani. Both Nevius and Barazani shot Lapua ammo. Team Lapua member Nancy Tompkins, shooting Lapua Midas+ ammo, was the 1st Master and Top Woman competitor. The First-place Junior competitor, Elijah Ellis, also shot Lapua ammunition. Most of these top competitors are now competing in the 2010 NRA Smallbore Prone National Championships held at Camp Perry, Ohio, this week, July 25-28th. At the Metric Championships, conditions were mild and partly cloudy both days. Day 2 (any sights day) saw slightly higher wind velocities. Both days saw winds from the south (from behind the firing line) that would switch quickly from left to right. Kevin Nevius used Lapua X-ACT and Midas+ ammunition in the Walther-based prone rifle he built last winter specifically for Lapua ammunition. The gun features a Walther KK300 action (won at the 2008 National Matches) and a 1:17″-twist Hart barrel. NOTE:The above photo, taken at the 2008 National Championships, show Nevius with a different rifle. Share the post "Kevin Nevius Wins Metric Smallbore Championships"
Frank Weber set his 1K record with a BAT-actioned 6mm Dasher smithed by Mark King. The Broughton 1:8″ twist, 28″ barrel has a 0.266″-necked Dasher chamber, with 0.155″ freebore. The Broughton barrel is nearly new — it had roughly 100 rounds through it when the record was shot. For optics, Weber used a Nightforce 8-32x56mm NXS scope. Weber’s record-setting load was fairly typical for a Dasher, except for the projectile. Frank loaded 33.5 grains of Hodgdon Varget and CCI BR4 primers behind a custom 105gr bullet, seated 0.010″ OFF the lands (i.e. he was jumping the bullets ten thousandths). Ironically, Frank was using this relay to test seating depths. It certainly seems that he found a load that worked! Later, in the shoot-off, Frank tried IMR 8208 XBR powder. Share the post "Frank Weber Sets New LG 1000-Yard Score Record with Dasher"
The Versus cable network’s new 3-Gun Nation TV show debuts on the Versus cable network, today, July 26, 2010. The show airs Mondays at 7:30 a.m. EST and Thursdays at 3:00 p.m. EST. The video below previews the kind of 3-Gun tournaments Versus will cover. The inaugural season features some of America’s best multi-gun events: Superstition Mountain 3-Gun, Blue Ridge Mountain 3-Gun, Midwest 3-Gun Championship, MGM Ironman 3-Gun Tournament, and the Rocky Mountain 3-Gun. Each event ends in a head-to-head, single elimination shoot-off with the winner earning $5,000. The 3-Gun Nation Tour is a season-long series of matches at multiple venues. Competitors accumulate points throughout the season, and the top 50 are eligible to compete in the year-end championship following the USPSA Multi-Gun Nationals held September 13 outside Las Vegas, NV. In addition, the top finishers in each division at the USPSA Multi-Gun Nationals, who have not already earned a spot in the 3-Gun Championship, will earn a wild card berth, giving 10 additional competitors a shot at $5,000. The winner of the 2010 3-Gun Nation Championship will receive $25,000, courtesy of Leupold, and will earn the title of the world’s top 3-Gun shooter. The match-by-match money awards, combined with the $25K 3-Gun Nation championship prize, collectively represent the most richest set of prizes in the history of practical shooting. The final two competitions on the 3-Gun Nation tour are: Rocky Mountain 3-Gun in Raton, NM, August 5-7; 3-Gun Championship at the USPSA Nationals in Boulder City, NV, September 13. Share the post "3-Gun Nation TV Show Debuts July 26th on Versus Network"
You can purchase a Teflon stock tape kit from Sinclair Int’l for $14.95. This has four 5″x5″ segments, enough for two rifles. But if you have a large collection of rifles, you’ll save big bucks by buying directly from a bulk tape supplier. C.S. Hyde Company, CSHyde.com, (800) 461-4161, sells 6″-wide, flexible Teflon-coated and UHMW tapes that work great, with either rubber, silicone, or acrylic adhesives. The price works out to about $1 per rifle. MiKe Ratigan recommends the “Skived” (blade sliced) PTFE Teflon .005″ tape with silicone adhesive, item 15-5S. This is very low-friction and highly conformable, so it bends easily around your stock contours. You’ll need to call for custom 5″ or 6″ widths, and expect to pay about $40 for a 5-yard-long (180″) roll. Share the post "Bargain Sources for Slick-Sliding Stock Tape"
Robert Whitley sampled a recent lot of Lapua 6mmBR brass and found that the neck-walls are marginally thinner, resulting in a very slightly smaller loaded neck diameter. Here is Robert’s report…. For the last few years the different boxes of Lapua 6mmBR Norma brass I have purchased (four different lots) have yielded brass with necks that measured around .269″ – .2695″ loaded. While this worked out very well in a variety of applications, sometimes I had to neck-turn that brass because it was a little too tight for an application or chamber I had. I recently received some of the latest “blue box” Lapua 6mm BR Norma brass (Lot # P00487801) and this latest lot of 6BR brass measures right around .268″ loaded (with popular 6mm bullet types). While some may bemoan the smaller neck diameter of this latest brass lot, for others, this can be a buying an opportunity to resolve an existing clearance issue with a “no neck turn” chamber. For example, if you have a .271″ “no neck-turn” type chamber, this may help resolve clearance issues that arose with other batches of brass. Or, for those who need to turn their necks to fit a tighter chamber, this new lot of 6mmBR brass has about .001″ – .0015″ less metal to remove, making the turning process that much easier. Editor’s NOTE: If you need some new 6BR brass, but your existing cases have no-turn necks which are .269″+ loaded, you may want to segregate the newer .268-necked brass. Segregating the new brass will allow you to use a a slightly smaller diameter bushing to maintain the same amount of grip on the bullet (as before). Other than this minor change in neck diameter with this lot of brass, this Lapua 6mm BR Norma brass is essentially the identical product as it has been all along. Visit Robert Whitley’s 6mmAR.com website for more information on Grendel-based cartridges, and his 6mmHOT.com site for info on the 6mmBR Improved Dasher, 6-6.5×47, and 6.5×47. 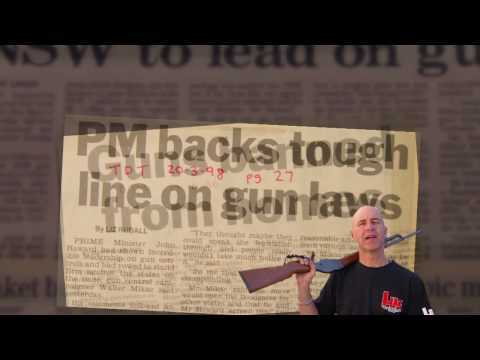 Share the post "Report: Thinner Neck-Walls on Latest Lapua 6mmBR Brass"
To widen its appeal, Lee’s video blends humor with a serious theme. Hopefully this video may cause a few fence-sitters to rethink their position on gun control. Credit to Steve of The Firearms Blog for spotlighting this entertaining, yet thought-provoking video. 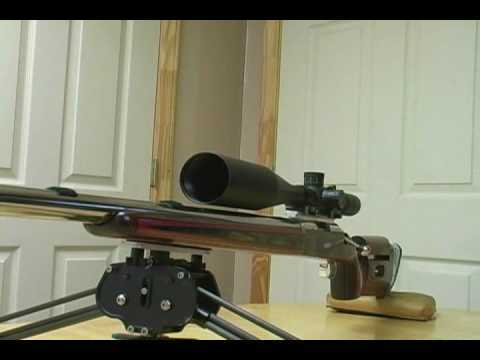 Share the post "Australian Sings About Gun Rights (and Fork-Tongued Politicians)"
In cooperation with the NRA Office of Disabled Shooting Services, Pyramyd Air is offering $224.00 off the Air Arms S400 MPR air rifle for qualifying shooters with disabilities. Disabled shooters and Adaptive Shooting groups can obtain the Poplar-stocked S400 MPR for $750.00 with FREE Shipping. This gun normally retails for $974.00. Disabled shooters wanting an Air Arms S400 MPR air rifle should contact NRA Disabled Services Director Vanessa Ross. Call Vanessa at (703) 267-1495 or email disabled-shooting@NRAhq.org. Vanessa will provide a Promo Code good for the rifle discount. In addition, there is a second discount code providing 10% off an entire Pyramyd Air order. You cannot combine two promo codes on a single order, so use the second promo code for a separate order if you want to purchase pellets, targets, rifle cases, and other accessories. Though it weighs only seven pounds, a good thing for disabled shooters, Pyramyd’s S400 MPR is a quality air rifle with features similar to imported “name brand” air rifles. This breechloader has a 12-groove barrel and a walnut stock, which comes in right-hand, left-hand, or ambidextrous versions. An adjustable rear diopter sight and front sight with insert come with the gun. The S400 MPR has a 5-way adjustable trigger. You can adjust height, forward or rear placement, rotation of trigger blade, first-stage length, second-stage pull weight and placement of the trigger pad. NOTE: The cocking bolt is NOT adjustable for position and is on the right side of the gun. NRA Disabled Shooting Services Director Vanessa Ross comments: “We are extremely grateful to Pyramyd Air for their commitment to the disabled community and offering a cost-effective way for individuals to get into the competitive game. To learn more about the NRA’s disabled shooting program visit www.nrahq.org/compete/disabled.asp. Share the post "Pyramyd Air Discounts Match Air Rifle for Disabled Shooters"
A “Dream Team” composed of four of America’s top lady shooters set a new national long-range Palma record at the Rocky Mountain Palma Championships at Raton, NM last week. The four-woman squad of Trudie Fay (Captain), Michelle Gallagher, Noma Mayo, and Nancy Tompkins shot brilliantly to establish a new National Palma record of 1796-112X, breaking the existing 1791-102X record held by the USAMU (Praslick) team. For Michelle, competing in this match with a team of female all-stars (who are all close friends) was a dream come true: “We’ve been planning to have a womens’ team for 10 years and it finally happened. It’s fun getting everyone together. We’re all delighted it worked out so well. And I loved being able to shoot with my mom.” Michelle shot a perfect 450 in the match, not dropping a single point. All four Dream-Teamers were shooting conventional single-shot .308 Winchester Palma rifles — no tube-guns in this arsenal. Nancy Tompkins’ rifle featured a wood stock, Stolle Panda action, and 30″ Krieger barrel. Michelle’s rifle was similarly configured but she used a fiberglass McMillan stock. Nancy and Michelle shot ammo loaded with Hodgdon Varget powder, Wolf (Russian) primers, and the 155.5gr Berger Palma bullet. The other two team members, Noma and Trudie, may have been using Sierra #2156 155gr Palma bullets but that’s not confirmed. Michelle observed that the 155.5gr Berger Palma bullet doesn’t require any special tuning: “With the 155.5, it’s pretty easy to swap out any load you’ve used successfully with any of the other 155s. The 155.5 doesn’t require a lot of extra load development. As far as seating depth goes, some people are successful jumping them, some people are successful jammin’ them in. Personally I’ve always soft seated. I haven’t found them to be very finicky.” Editor’s note: “Soft Seating” refers to deliberately loading the bullets long, with fairly light neck tension, and then allowing the bullet to find it’s position as one closes the bolt. The potential benefit is that the bullet ogive is always in the same position relative to the start of the rifling. Share the post "Womens’ “Dream Team” Sets New National Palma Record"
John Hoover of Accuracy One Shooting Supplies is the 2010 Williamsport World Open Two-gun Overall Champion. Shooting a 6.5×284 in both Light Gun (LG) and Heavy Gun (HG) classes, John shot consistently, placing 3rd in Light Gun class, and 6th in Heavy Gun to win the overall Two-Gun with 34 rank points. It was a solid win. The next closest shooter was Paul Chackan with 59 rank points. READ MORE: To learn more about John Hoover’s successful 6.5-284s, read this Gun of the Week article. 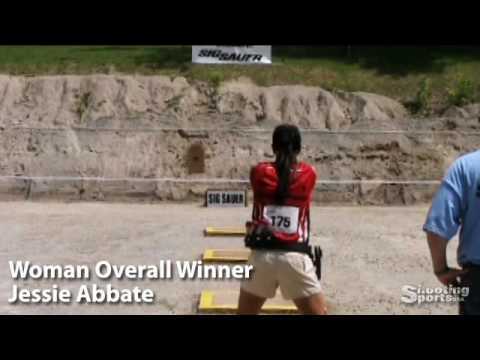 Share the post "Williamsport Winner Reveals 6.5×284 Reloading Secrets"
Chip Lohman, Managing Editor of Shooting Sports USA magazine, has crafted a video covering the 2010 Bianchi Cup, the richest (and one of the most prestigious) handgun competitions on the planet. Lohman’s video shows all phases of the event, and you can see great performances by Doug Koenig and Jessie Abbate. Smith & Wesson’s Doug Koenig won his 12th Bianchi Cup title, while newly signed teammate Jessie Abbate topped S&W Captain Julie Golob for the Women’s Overall, giving S&W a dominant performance at this year’s tournament. Koenig won the Open Class without dropping a point, finishing with 1920-179X. Every month Shooting Sports USA provides coverage of a wide variety of NRA disciplines, from 10m air pistol to 1000-yard high power matches. Each monthly edition provides features stories, plus schedules for matches nationwide. CLICK HERE to receive a FREE digital edition of Shooting Sports USA, sent directly to your e-mail box each month. Share the post "Video Shows Bianchi Cup Champs in Action"